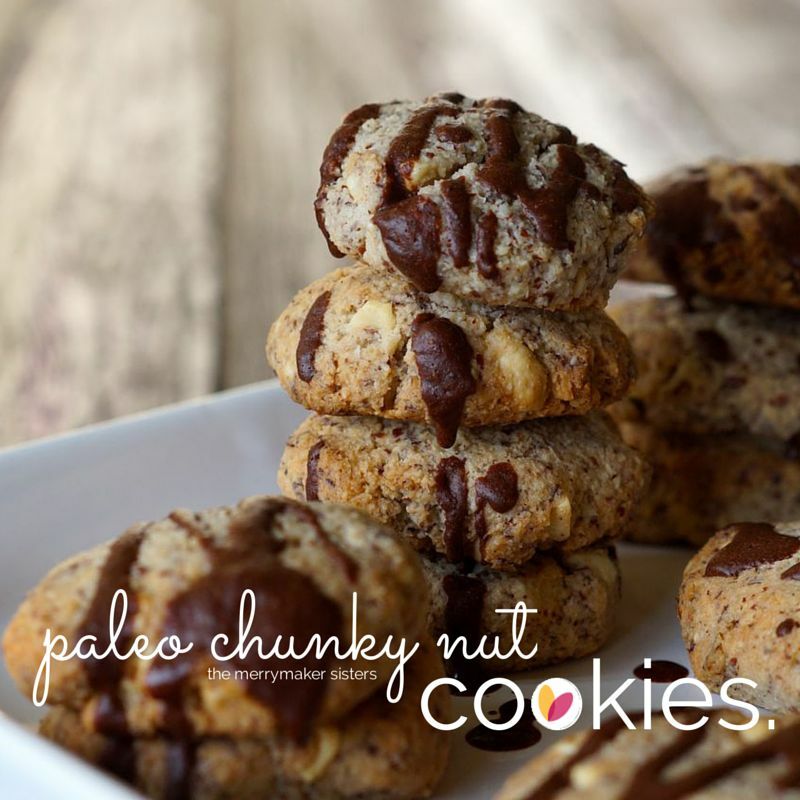 Paleo Chunky Nut Cookies Recipe. These Paleo Chunky Nut Cookies have been approved by merrymaker dad which means… they must be good (he is a tough critic!). So easy and oh so yum! We recommend drizzling them in some of our paleo chocolate, this adds extra delish factor and also makes them look pretty! Another top idea is to whiz up a batch of Paleo Chocolate Almond Milk… because Paleo Chunky Nut Cookies + Almond Milk = best friends forever! In a bowl, whisk the eggs and coconut oil together. Add all the other ingredients (almond meal, nuts, coconut, cinnamon, vanilla and coconut sugar) and mix until it forms a cookie dough. Take tablespoons of mixture and place onto the prepared baking tray, 1 cm a part. Allow the cookies to cool before serving. If you can’t tell… we love cacao. We have cacao parties all the time! 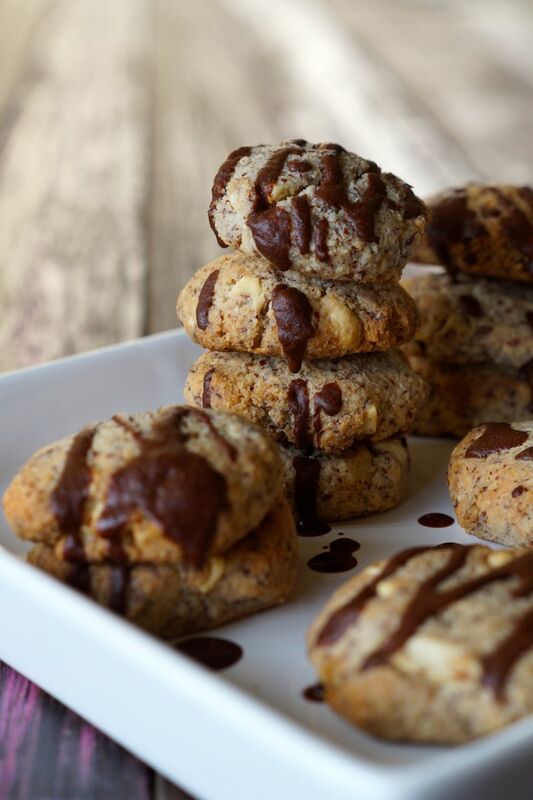 Make a batch of paleo chocolate and drizzle on top of the cookies. Oh. My. Cookies! The link is in this blog post!